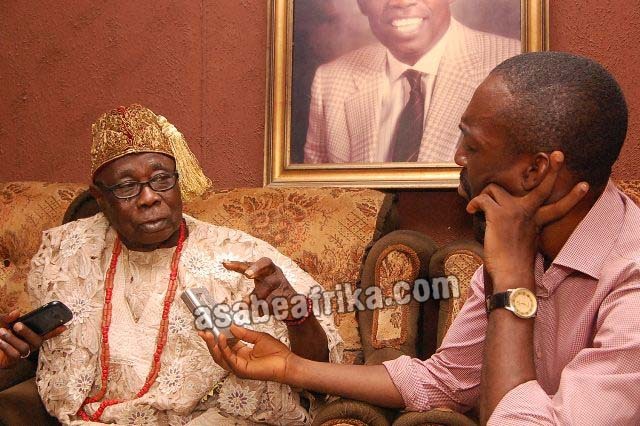 In this exclusive encounter with your Africa’s Number 1 Celebrity Encounter blog, Asabeafrika, Chief Murithala Mohammed Abiola, the head of the prestigious Abiola family of Abeokuta, Ogun State—South Western Nigeria opened up for the first time since the demise of their bread winner on July 7, 1998 and revealed the secret reason why Nigerian political leaders occupying the Abuja seat of power, Aso Rock, since 1999 keep losing their lives (either spouses or husbands). The 75 years old family head of the annulled June 12 Presidency winner while speaking on the position of the family concerning the 24th anniversary of the celebration coming up this Monday, lamented the poor state of the family and how politicians have always used their mouth to praise MKO Abiola in public but neglected his family in privacy. Chief Murhi a London trained accountant who is presently mourning the death of his younger brother, Engineer Tunde Saliu Abiola who died on Wednesday May 24th after a battle with one of late MKO Abiola’s wives, Mrs. Dele Desaolu Abiola equally revealed why the family is banning Ogun State government from celebrating the June 12 event in their ancestral family house next Monday. 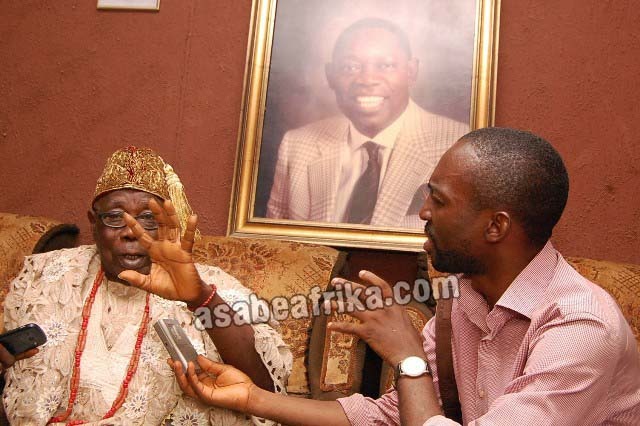 The elderly Abiola said more to Asabeafrika. Enjoy the excerpts. Sir, can you tell us the story of this great family, the Moshood Abiola family? Thank you and I am very grateful for your assistance to the Abiola family. I think we have been together for some time and all the time I used to speak for the family. Today, I am ordained to be the Head of Abiola family. It is not by election, it is by birth right. I am the oldest son of Abiola family today. 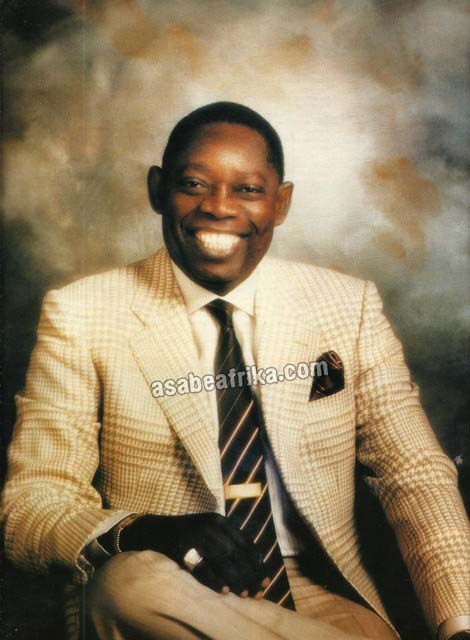 Initially, MKO was the head of the Abiola family. When he was the head of the family, I was the family secretary. But today, he is passed away and the responsibility falls upon me as Head of the family. Fortunately, I am learned somehow, I am an accountant by profession. So I know the history of the Abiola family. We are a royal family in Gbagura-Abeokuta. About 8 kingdom makes Gbagura, among which is our own kingdom where our father was Balogun. It is Ojoo kingdom of Abiola and we are entitled to the crown because our forefathers carried a crown from their settlement to Abeokuta. You mean your ancestors are royalty?  Yes, we are entitled to contest for the stool of Agura of Gbagura. 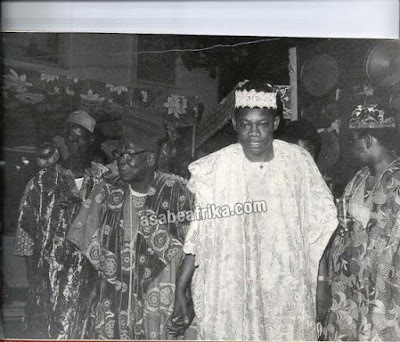 Even MKO tried it sometimes back but he was persuaded to withdraw because he hailed from two kingdoms in Gbagura. His mother is from Iddo kingdom while his father is from Ojoo. So on the two sides; he is entitled to it (Crown). But the argument then was that he should step down because he was rich and influential. 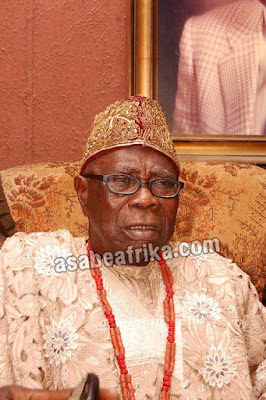 Even, he built the palace, the present Agura of Gbagura is living today. 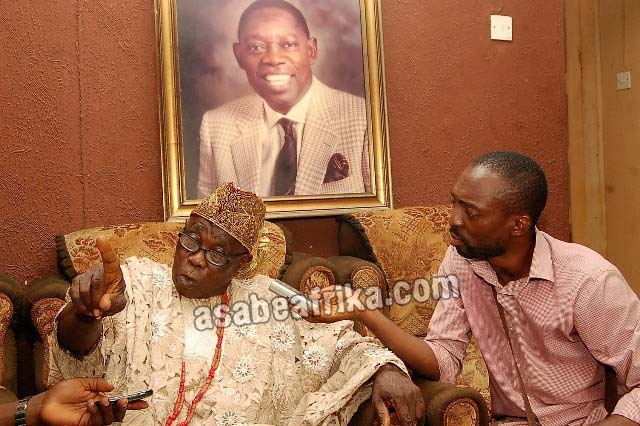 MKO built the palace and since his death, I have been trying to raise the issue. 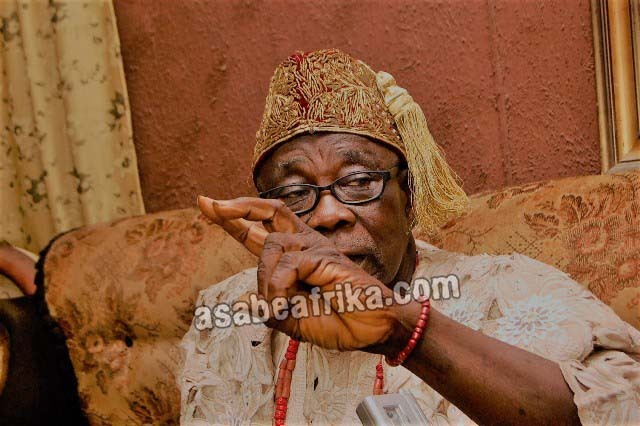 But Abeokuta as it were is much more of a cosmopolitan town because most of the people from that town are learned, they are successful business men. You can name it, so you can see a lot of envy and jealousy in the air. 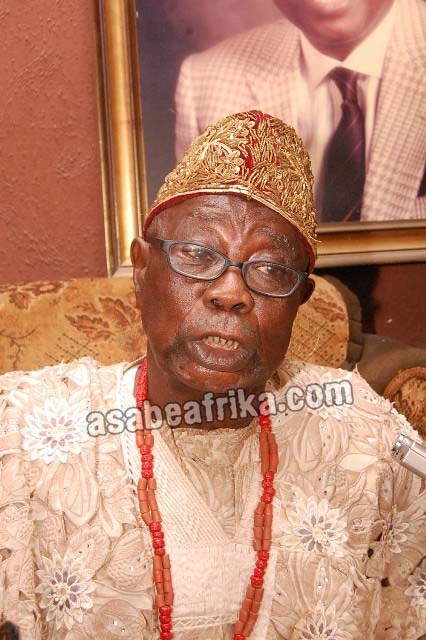 There is rivalry in the air because Egba consist of Egba Alake, Egba Oke-Ona where the Tejuosho royalty came from. Then, Owu where Obasanjo comes from but the real issue is that people think that every big personality from Egba comes from Ake kingdom but for our forefathers who were not learned, history would have been properly documented, they didn’t document facts. No documentation. It was initially being called The Alake of Ake. Ake is just a kingdom in Egba land but education was the in thing at the time because if you look as far back as possible, you will see that civilization started in Egba land. 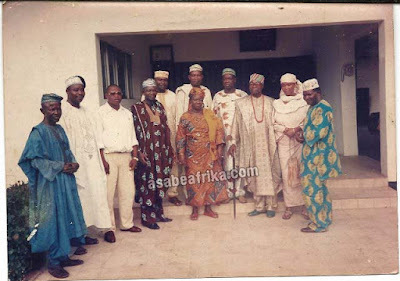 Even all this democratic system of government we are using today is from Egba land because the British who came to liberate us appointed the Alake of Egba land to be administering the province. It was Egba Province at the time, not like now that we have states and local government areas. But what is certain is, in any part of Nigeria, traditionally, we have what we call family institutions because it is the family institution in one area that forms communities and it is communities that form Local Government Areas. It is the LGA that now constitutes states and it is the (amalgamation of) states that constitutes the country—Nigeria. This is how evolution evolves and there is no part of Nigeria that does not have a family institution. I could remember vividly that during the 1993 elections, it was option A-4 which means you have to be elected from your ward down to your Local Government Area down to your state because I took part in all these things before we ended up in Jos for the presidential primary. Since the government recognizes all these things I don’t know why our family is not taken serious. Because what is happening today, I can’t comprehend it as it relates to MKO Abiola’s family and his sacrifice for democracy. Sir, do you fear that government has abandoned your family and only mouth the June 12 slogan without benefit to your family? 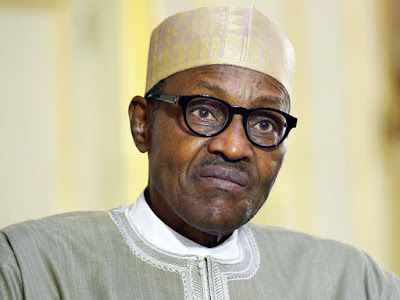 President Muhammadu Buhari....Is he a victim of the MKO Abiola spell in Aso Rock? All this indication shows that we don’t have a government. I have been saying it for a long time; we don’t have government in Nigeria. The government that will not obey court order, the government that will send lists of appointed officers to its legislative arm and the list will not be honored or confirm. If there is a government, we don’t need to have all these problems. I am handling another issue now; I think day before yesterday when Taju and Ramoni (His Younger brothers) came to me. I have written to (Gov Ibikunle) Amosun (Ogun State Governor) that the June 12 celebration they are doing, they are not going to do it in my Papa’s house this year. 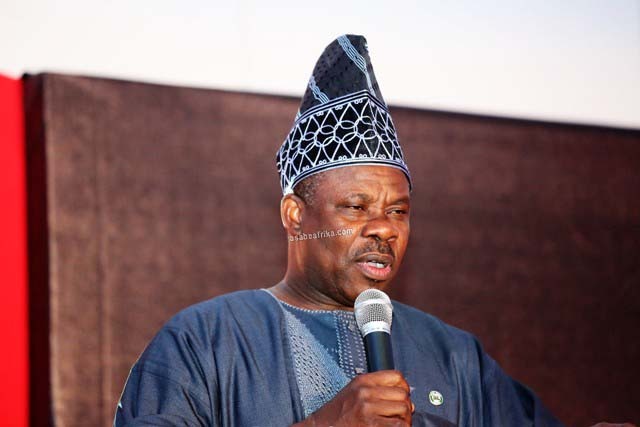 Why are you banning the Ogun State Government from celebrating the event in your family house? June 12 is not for the family, it is for the people of Ogun state and the people of Nigeria as a whole. They are just camouflaging and using us as a stooge. The father of MKO (Alhaji Salawu Adenekan Abiola) has died for about 40 years now, even MKO himself, before he died did not even put N2 in a plate before an Alaafa (Muslim cleric/clerics) to pray for him. Then, his son (MKO) you (Nigerian Government?) killed him and you are praying for him every year. The Baba himself dey vex now and it is part of the problem we are having in the family. I said is it two or three June 12 celebrations ago, that I attended, I told the government and I don’t know if journalists reported it properly but I am still confirming today that there must be a spiritual sacrifice for MKO Abiola because MKO is not an ordinary person. People who see what is happening now know that he is not an ordinary person; we have a shrine in our compound that made MKO to stay alive and that is why they call him Kashimawo. He used to come and go, come and go, he will come and go, it is that shrine that made him stay and the family is aware. 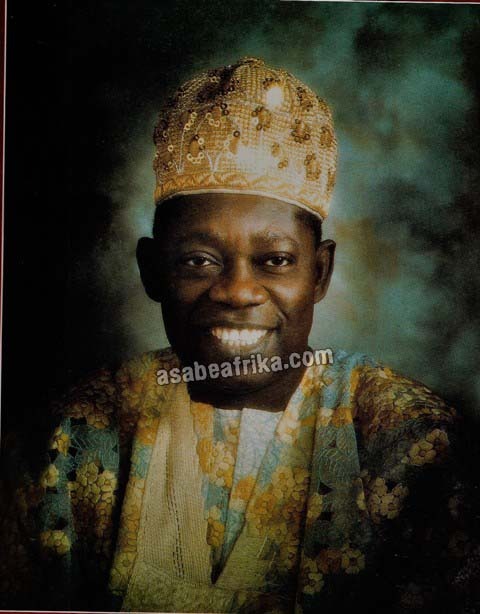 You mean a deity was responsible for MKO Abiola staying after birth in 1937 and the deity has a shrine? Yes, it is still there at Ita-Oje, we call it Oshoosi. 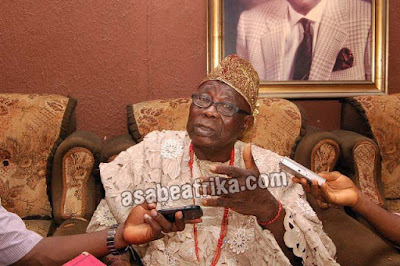 That is the name of the shrine, and when they are reporting that there are ghosts in Aso Rock, staffs are dying, people are falling ill, occupants are either losing their own wives or losing their lives, I told them that until, until, look… nobody will sit on that throne and enjoy the place. Whether they like, let them take it or say I am lying, if they don’t do the needful, nobody will be there and enjoy that place (Aso Rock). People may be thee o, but they will not enjoy the place. You mean presidents living in that Aso Rock will keep dying unless they properly honor MKO Abiola’s spirit? The Spirit of MKO is still there. It is not out. I am saying this to the world now. So, what can government do to pacify MKO’s spirit now? You know in Yoruba land, maybe you understand Yoruba, if you want to send devil message, you will give the devil something the devil didn’t like. It is that thing that will aggravate its annoyance. That is the issue. Ti eyan ba fe b’esu nise, nkan ti o kin je le ma fun’. You want to send the devil on an errand, give him what he doesn’t eat and you will see him run the errand beyond what you imagine. The spirit of MKO Abiola is still leaving there and it will never give peace to any occupier until a special sacrifice is carried out for that Oshoosi deity in our family house. If that is not done, there will be no peace in Aso Rock. I have told them, I am saying my own but you know we are nobody so they can easily take us for granted. They have always taken us for granted. And until it is done, nobody will be in that Aso Rock and do better thing. If the person’s life is longer there, he is very lucky. That is incredible. Talking about banning Governor Amosun from using your ancestral home to do this year’s June 12 celebration, have you ever sat with him to tell him what you want from the government? Several, several times we have made moves. We have been there but they will not allow us to see him, a year before or so during June 12. I think it was three years ago, we wanted to see him to discuss how we are going to do the June 12 we were not allowed to. We saw the SSG and he said we should go and prepare an estimate for the June 12 celebration. 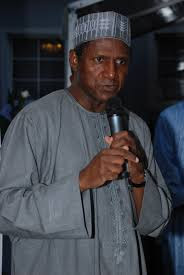 That we should prepare what will befit the government, I asked my junior brothers that they should go and prepare a budget of N5 million since it is the government that is going to do something, we shouldn’t do something that will be a disgrace to the government; going back to the government now, the SSG said ‘ah, we don’t have money because we too we are going to do T-shirt, face cap etc’. I didn’t know he has constituted his own football club but he said ‘Secretary to the Government Football Club’ will like to meet the old players of Abiola Babes. That very day (The day of the encounter) I was on field and I played. You mean Ogun State SSG has a footbal club? I don’t know o but I played for Abiola babe as the manager, on that June 12 of 2015. I met some of the old players, few of them because people like Toyin Ayinla, Isa Sofoluwe and one other guy from Ghana, MKO bought him for Abiola Babe, he is playing center for us, some of them were there. I saw some other old player who came to play because it is a novelty match. So, at least I played for about 20 to 25 minutes before they changed me. You mean you played soccer at your age? I played now, I am a footballer, I played for UAC, I played for Mandilas in my days. I played for University of Lagos. I am a sports man (laughter). So, I still have the skill. By August 2nd, I should be 75.